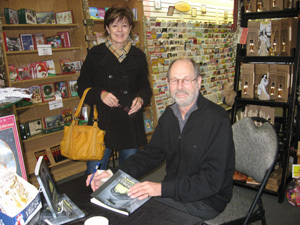 Marty Gervais’ Book signing was a huge success! His book the Rumrunners, A Prohibition Scrapbook has just flown off the shelf. It’s the 30th Anniversary edition revised & expanded. 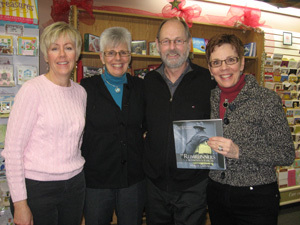 Three sisters and a famous Author! Geri, Paulette, Marty & Jackie who taught Marty and Donna Prenatal Classes and helped them have a baby! What a privilege.